Atherosclerosis is a condition in which cholesterol, calcium, and other substances, collectively referred to as plaque, clog your arteries. This blocks blood flow to your vital organs, especially the heart. It sometimes gets confused with arteriosclerosis, which is a hardening of the arteries that might occur whether plaque is present or not. Atherosclerosis leads to many health problems, including stroke, heart attack, kidney disease, and dementia. It’s unclear what causes the condition, because many factors are involved. People who smoke, use excessive alcohol (more than one drink a day for women, two drinks a day for men), and don’t exercise enough are more likely to develop it. You also could inherit the likelihood of developing atherosclerosis. There are a number of supplements, many derived from plants, that could help treat atherosclerosis. Most of them do that by affecting cholesterol levels. High levels of cholesterol aren’t the only risk factor in developing atherosclerosis, but they are a significant contributor. There are two kinds of cholesterol. Low-density lipoprotein (LDL) is also known as “bad” cholesterol, and high-density lipoprotein (HDL) is known as “good” cholesterol. The goal in treating cholesterol and related problems is to keep LDL low, and raise HDL. There is no proof that any supplement will cure atherosclerosis on its own. Any plan to treat the condition will likely include a healthy diet, an exercise plan, and perhaps prescription medicines to take along with supplements. 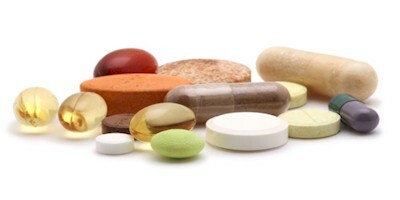 Talk to your doctor before you take any supplements, since some might interfere with medicines you’re already taking. If you are pregnant or nursing, you also need to speak with your doctor before adding supplements. Supplements are not regulated by the U.S. Food and Drug Administration (FDA). That means that their quality can vary dramatically from one brand — or even bottle — to another. This supplement is sometimes referred to as artichoke leaf extract, or ALE. Studies indicate that ALE can help raise your “good” cholesterol and lower “bad” cholesterol. Artichoke extract comes in capsules, tablets, and tinctures. How much to take depends on the type of preparation, but there isn’t any research showing that you can overdose on artichokes. Garlic has been credited with healing qualities for everything from breast cancer to baldness. But studies on garlic and heart health are mixed. A 2009 review of medical studies concluded that garlic does not reduce cholesterol, but a similar review from 2013 suggested that taking garlic could prevent heart disease. A study published in 2012 showed that aged garlic extract combined with the coenzyme Q10 slowed the progress of atherosclerosis. In any case, garlic probably won’t hurt you. Eat it raw or cooked, or take it in capsule or tablet form. The magic ingredient is allicin, which is also what makes garlic smell. That means odorless garlic supplements might not be helpful, according to the National Institutes of Health. Niacin is also known as vitamin B-3. It’s found in foods like liver, chicken, tuna, and salmon, and is also sold as a supplement. Your doctor might recommend niacin supplements to help with your cholesterol, since it can raise your “good” cholesterol levels by a third, and also lower triglycerides, another fat that increases heart disease risk. Niacin supplements can make your skin flushed and prickly feeling, and might cause nausea. The recommended amount of niacin a day is 14 mg for women and 16 mg for men. Do not take more than that amount without talking to your doctor first. Policosanol is an extract that is made from plants such as sugar cane and yams. An extensive study by Cuban scientists on policosanol derived from local sugar cane showed that the extract has cholesterol-reducing properties, but according to a 2010 review, no tests outside of Cuba have confirmed the finding. Policosanol comes in capsules. Red rice yeast is a food product that is made by fermenting white rice with yeast. It is commonly used in traditional Chinese medicine. Studies show that it can significantly lower your levels of cholesterol. The power of red yeast rice lies in the substance monacolin K, which has the same makeup as lovastatin, a prescription statin drug used for lowering cholesterol. Unfortunately, the FDA has banned red yeast rice products that are promoted to reduce cholesterol, as they contain a potentially harmful, unauthorized drug. Some red yeast rice supplements are available but may not be effective without that key ingredient. Red rice yeast has also been studied for possible kidney, liver, and muscle damage. Hawthorn is a common shrub grown throughout the world. An extract made of its leaves and berries is sold as a prescription medicine for heart disease in Germany. Hawthorn contains the chemical quercetin which has been shown to reduce cholesterol. Hawthorn extract is sold primarily in capsules. « Pulsatile Tinnitus – What is that sound?